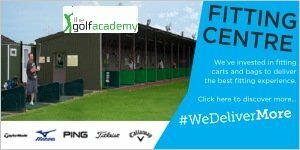 Since The Golf Academy formed in 2010 we have taken a key focus on developing Disability Golf in Staffordshire and actively encouraging anyone of any age with a disability, serious health problem, mobility issues to take coaching sessions if they wish to play or learn golf. We welcome amputees, blind, deaf, many learning difficulties, downs syndrome, Autisic, stroke and heart attack victims, wheelchair users and anyone with other similar issues. The Golf Academy has been working closely with Sport Across Staffordshire and Stoke on Trent who are the County Sport Partnership. 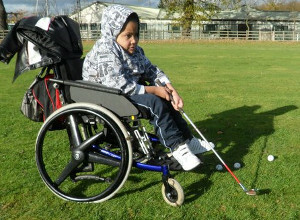 We have also been working with a number of local disability groups and councils who have assisted and supported a number of disability projects and they have helped support us with development of disability golf. Our progress is mainly down to the help we have received from Mark Fosbrook who is the Aiming High Disability Sport & Physical Activity Officer for Staffordshire and a number of the G8way Community Based Senior Family Support Workers its there help and guidance that has enabled The Golf Academy to be at the forefront of Disability Golf in Staffordshire. With this support The Golf Academy recently became the Disability Academy Centre for the Staffordshire County Golf Partnership (www.staffsgolfpartnership.com) and Craig Thomas was given the position of Lead Disability Coach for the partnership. 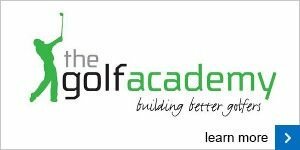 The Golf Academy have come along way in a short space of time with regards to developing Disability Golf, we are now delivering sessions at the Special Olympics and we have structured classes available though out the week and weekends at all of our venues. The Golf Academy professionals continue to keep up to date with developing their coaching skills by attending any Disability Awareness courses that are available. The Golf Academy are continuously working on new disability projects and please feel free to contact Craig Thomas for more information on projects and classes available. Sessions are available for both Juniors and adults and there are no restrictions. For more informaton, please click here.